favorite picks for Spring! ENTER: Tee + Sneakers. Need I say more? This post was sponsored by Zappos but all opinions are my own. I love how much those sneakers pop! This whole outfit is so cute & casual, I love it! Love the pop of red! Such a great look! obviously in love with that purse. cool shoes! LOVE this - white tee and red sneaks - so good. And a red Celine? Well that is just icing on the cake! Super casual cool, great look! Loving the pops of red...they definitely make the outfit! 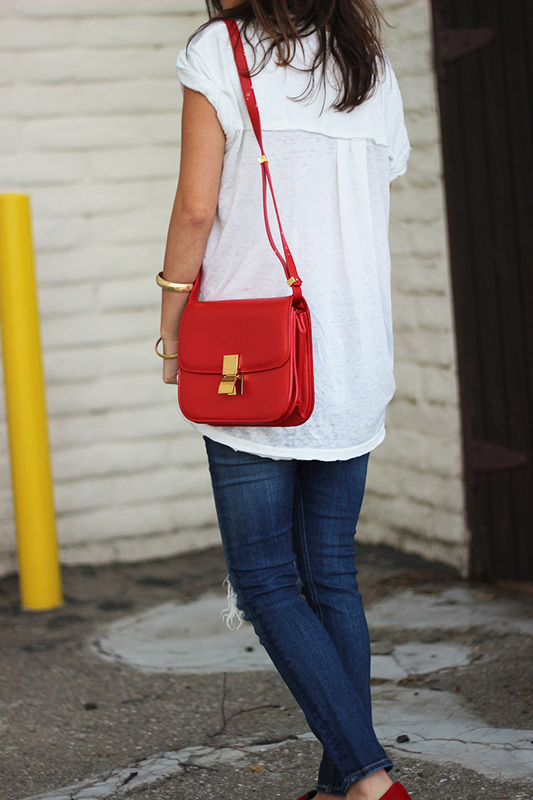 Love this casual laid back outfit...with the pop of red! Sometimes basics are just the best!